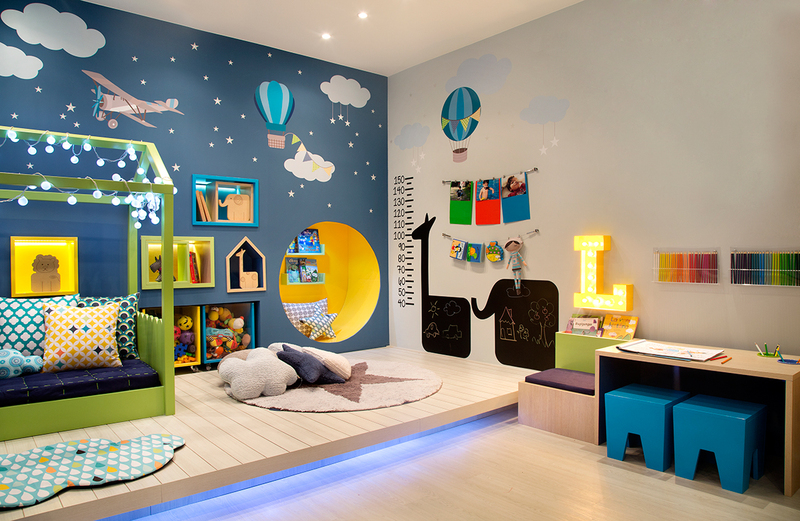 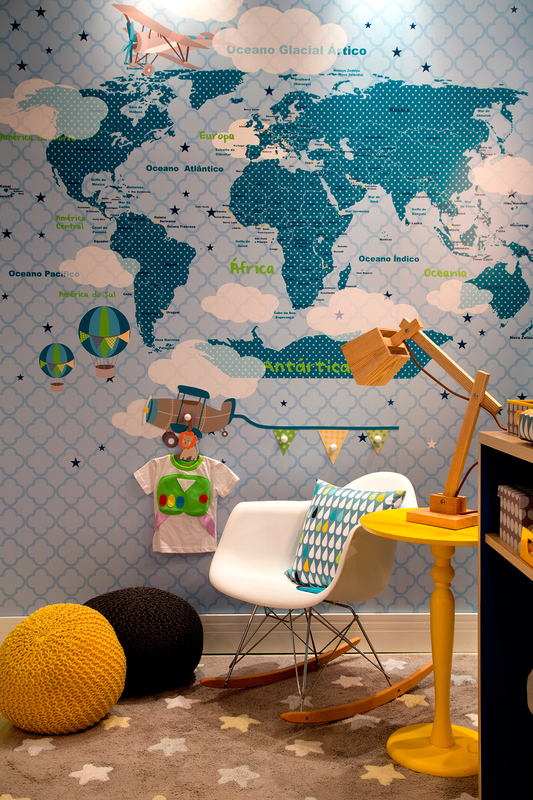 This project shows that design and decoration can be a great ally to the learning and development of kids. 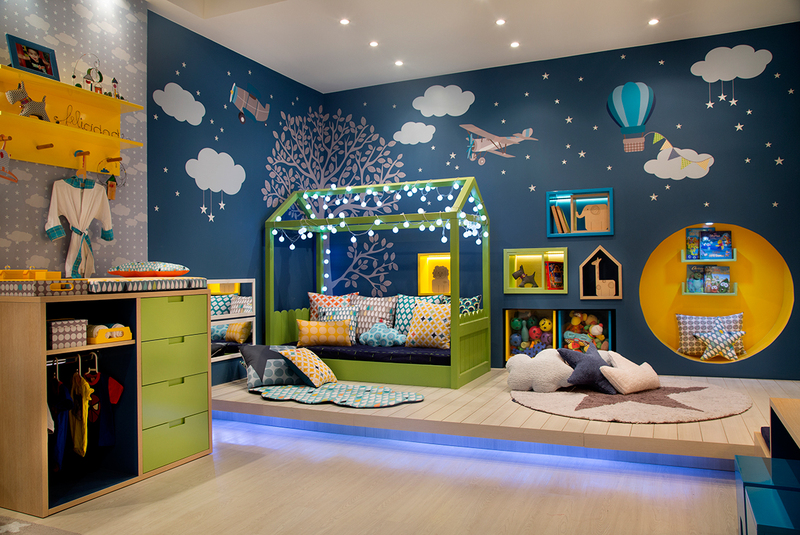 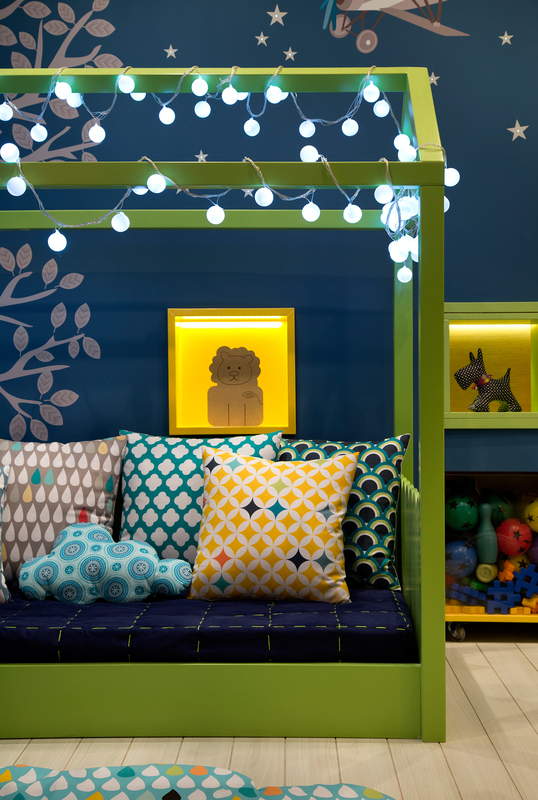 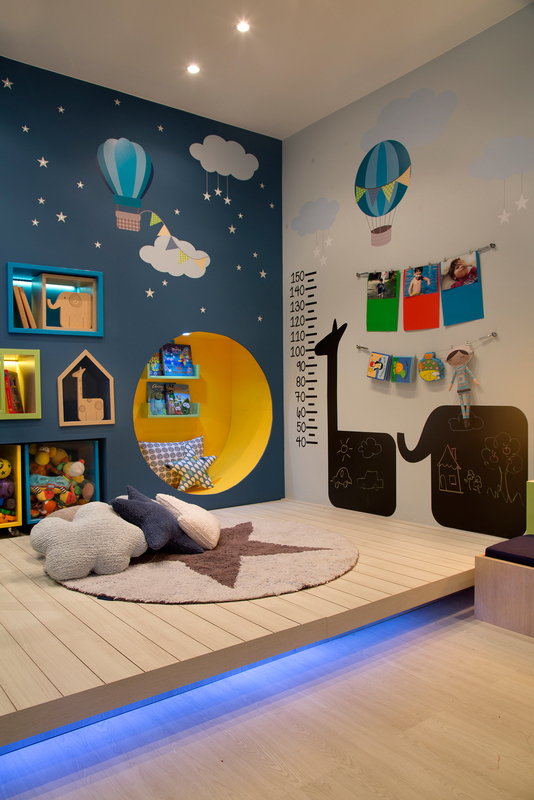 With the theme “a night in the treehouse” the room is inspired by the Montessori psychology, which it’s objective is stimulate the learning and motor/cognitive development of the child through its senses. 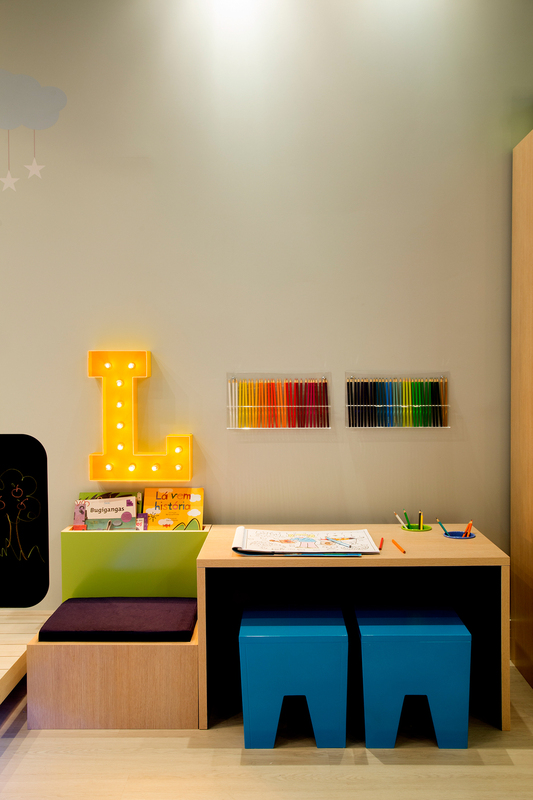 A magical environment, rich and stimulating, where the kids are able to learn by themselves through their own experiences in a creative, safe and healthy way. 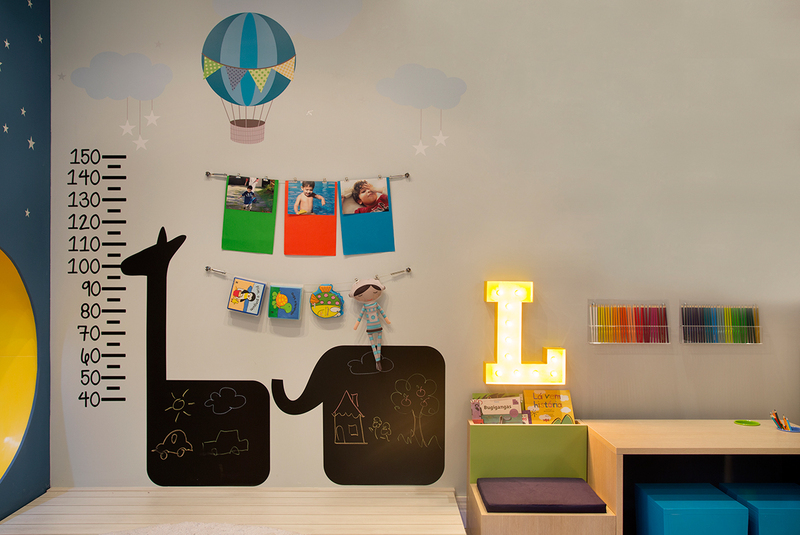 The two main walls show themed drawings, starting by the tree that frames the low bed in the shape of a little house. 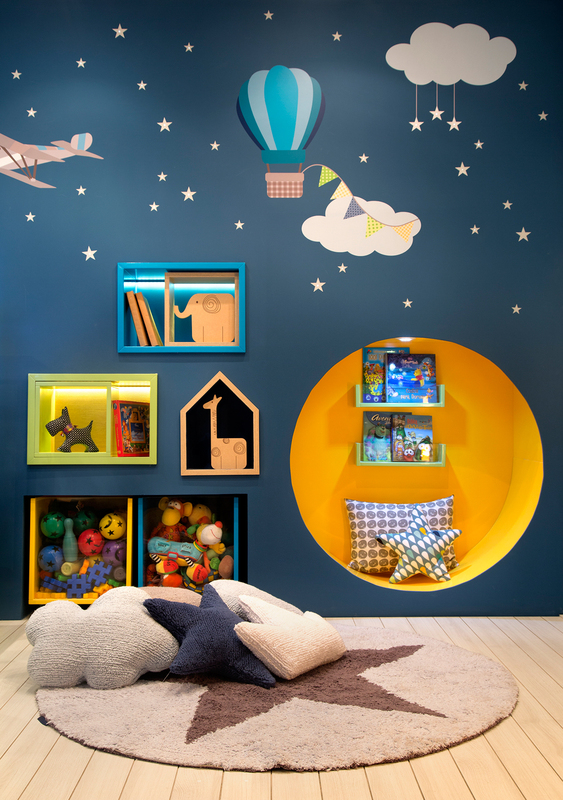 Clouds, stars, balloons and planes complete the scenery just like in a child’s dream. 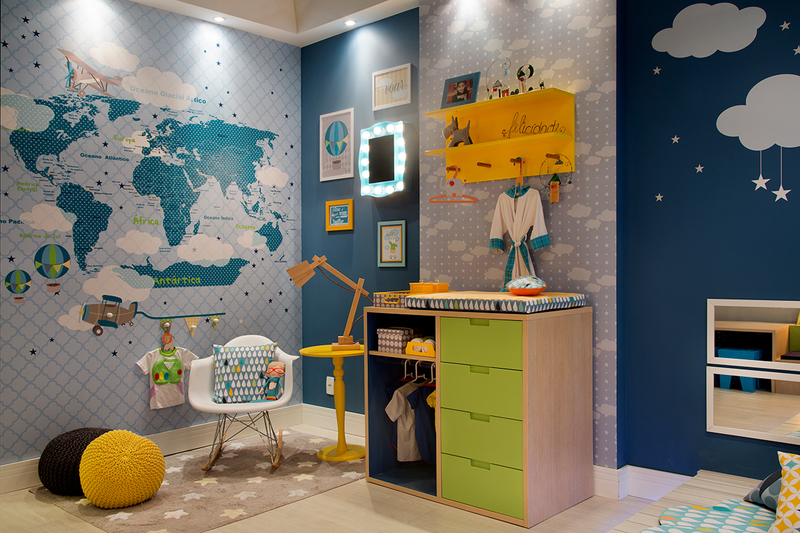 All the furniture was created and designed by the Architect.